We've developed affordable insurance programs for home health, nursing homes, and assisted living facilities. See if your business qualifies for one of our Target HealthCare Programs. If you've spent much time looking for health services workers compensation, you've probably realized that there are not many carriers actively quoting this industry. Our agency specializes in home healthcare and assisted living workers comp insurance because we understand how tough it can be to find reasonable coverage options. And we have several Pay As You Go options available to help improve cash flow and reduce audit exposure. 8835 Home Healthcare Workers- All Employees. This class code is applicable in most states and applies to healthcare services provided in the home of individual patients. Employees included in this coverage could be administering medications, providing therapies, counseling, monitoring, etc. The code includes nurses, aides, therapists, and social workers. 8829 Nursing Homes and Assisted Living Facilities- All Employees. This classification includes professional employees and non-professional employees except standard exceptions of clerical, sales, and drivers. Terms used to describe these facilities include nursing homes, convalescent homes, homes for aged, and rest homes. This code is broad with regard to the level of care provided and typically these facilities do not employ resident physicians. 8824 Health Care Employees at Retirement Living Centers. This code applies to employees of retirement communities who provide medical, nursing, or personal care to residents. Resident living centers may be referred to as retirement communities and congregate living facilities and the differ from nursing homes with regard to providing a "home" environment as opposed to an "institutional" environment. 8825 Applicable in all states except CA, MA, NJ, NY, TX. Applies to food service employees only who work at a retirement living center if food service is not independently operated. The class could include cooks, busboys, bartenders, cashiers, hosts, servers, and managers. 8826 Applies to all states except CA, NJ, NY, and TX. Applies to all employees of a retirement living center that are non health or food related. May include housekeeping, transportation, guards, groundskeepers, etc. 8827 California exception code. 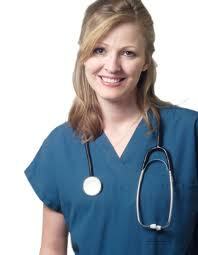 Applies to home healthcare medical professional providing service in residents homes. 8842 This classification code is for all employees associated with a group home. Group homes include foster homes, halfway houses, providing rehab services, supportive living homes for individuals who are emotionally or physically challenged, shelters, and detention centers. This code does not include homes for convicts or detox for alcohol or narcotics. Exceptions There are state special codes in DE, PA, MI, NJ, NY, TX, and CA. Contact us for more details and correct class code applications. Ask us about our other lines of business coverage for home health and nursing homes including Liability and Property coverage with Lloyds, Philadelphia and other affordable markets. Save up to 15% over your current premium. Markel Company is a great carrier for home health, retirement homes and gropup homes. They have a broad appetite and Pay As You Go coverage. Accident Insurance Co offers competitive rates and flexible underwriting for home healthcare and retirement communities. Zurich offers select access to home health coverage through select captive programs. Accident Fund Insurance Company of America has placed a very direct focus on writing workers comp coverage of home health, group homes, and nursing homes for 2016-2017. Patriot offers unique workers compensation programs for all healthcare related codes. MEM is a Missouri based carrier offering competitive rates on assisted living facilities. We offer additional quote options from some of our other insurance companies depending on your state, nature of business, and claims experience. Give us a call today to learn more about our programs. And to see if your business qualifies for lower cost coverage on workmans comp. Workers Comp for Assisted Care. Most agencies struggle to find one insurance company to write workers' compensation coverage for home healthcare, group homes and nursing homes. But we offer exclusive healthcare programs with lower rates on coverage so you get the best price on your policy. Get quotes for your healthcare organization today and see if you qualify for the better prices on workers comp. Or give our Specialists a call today at 888-611-7467.